Having a vehicle that is inoperable, whether from a crash or it is simply worn out, typically necessitates locating another one. As many of us have experienced, this situation often comes at the worst time financially. 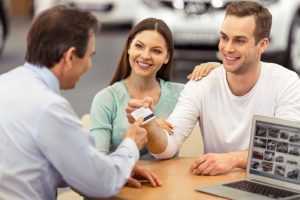 There is an option, however, if you do not have the funds to purchase a new car or even a newer model pre-owned vehicle. Consider the benefits of a car sold “as is” from the auto dealer in St. Louis so that you will have the transportation you need at a more affordable cost. A purchase of this type scares off many people but it is not really a problem if you complete some advance research using the car’s VIN, have a mechanic inspect it closely and take a test drive. An “as is” auto purchase combines both low cost and dependable transportation. Learn about the existing selection of “as is” vehicles at 5 Star Auto Plaza by calling (636)940-7600. Rely on an established auto dealer in St. Louis for your used vehicle purchase.